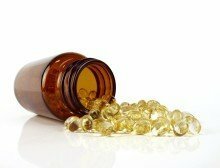 Research has discovered that vitamin D may be an effective therapeutic agent to treat or prevent allergy to a common mold. Aspergillus fumigatus, is one of the most prevalent fungal organisms inhaled by people. In asthmatics and in patients with Cystic Fibrosis, it can cause significant allergic symptoms. Aspergillus fumigatus is a very common mold in home environments, where it’s known for taking up residence in unsuspecting locations like your bedroom pillows. While ordinarily harmless if you’re healthy, Aspergillus fumigatus can cause a serious allergic reaction called Aspergillosis in people with weakened immune systems, lung disease or asthma. It’s obviously important to keep excess mold growth under control by controlling moisture levels in your home, especially in your kitchen, bathrooms, and basement, but the truth is it is very difficult, if not impossible, to avoid Aspergillus fumigatus altogether. This is why this latest study from researchers at LSU Health Sciences Center New Orleans is so valuable: it highlights a simple way for at-risk people to significantly lower their chances of being sickened by this common mold — optimizing vitamin D.